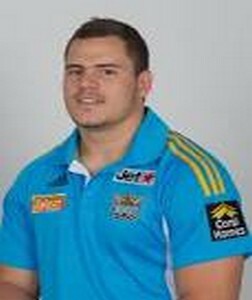 21 years old Aidan Sezer is a professional Rugby Player who played for the Gold Coast Titans team in the 2012 season in the National rugby league competition played in Australia. During the 2012 season, he played in 15 games scoring 4 tries in them. Born on 24th June 1991, he plays at the five eighth positions for his team. He also plays halfback for his team in many games as per the team’s formation. He has been recently re-signed by the Gold Coast Titans for a 2 years contract which will end after the 2014 season. Before playing in the first grade rugby competitions, he also played in the Toyota cup for 2 years for the Canterbury-Bankstown Bulldogs team. These 2 years helped him get a call at the upper level. This entry was posted in NRL and tagged Aidan Sezer, Gold Coast Titans. Bookmark the permalink.